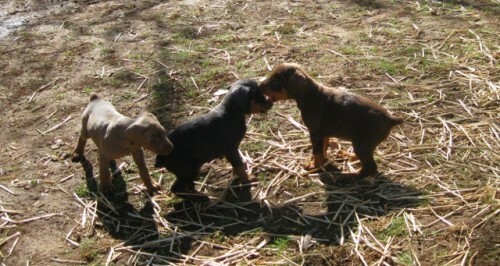 Beautiful AKC Doberman puppies. Will be ready to go February 23, 2012, start saving now. Tails docked and dew claws done. Well mannered, learning basic commands. Very intelligent. Has 1st shot, and wormed. Full registration, pedigree. Father VWD certified clear. 2 blues two females, $900.00 each.